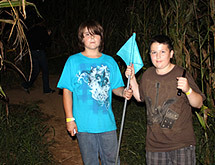 Night brings a whole new experience to Lone Star Family Farm & Corn maze. We offer Flashlight Nights and campfires for groups. Spaces are limited, so call early to reserve your campfire! We're one of the few places to hold a campfire under the stars. 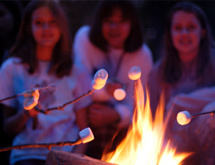 We offer a basic campfire package or a package that includes s'mores, the favorite food for campfires! View our options, listed below. Use our Online Reservation Request Form or call 682-498-3276 for details and to make your reservation! Don't miss updates about upcoming events, specials, and more! Enter your email below and sign up to receive email updates from Lone Star Family Farm.